The embattled Xian Gaza has risen from the shadows to tell this tale. Many netizens were shocked and saddened following the news that a just-married Filipino couple died during their honeymoon in Maldives. The remains of Leomer and Erika Lagradilla were brought back to Manila on Saturday, Jan. 19 after the pair died while snorkeling. Gaza said he has a theory about what caused the couple’s death, citing his experience during a similar trip to the popular beach destination. 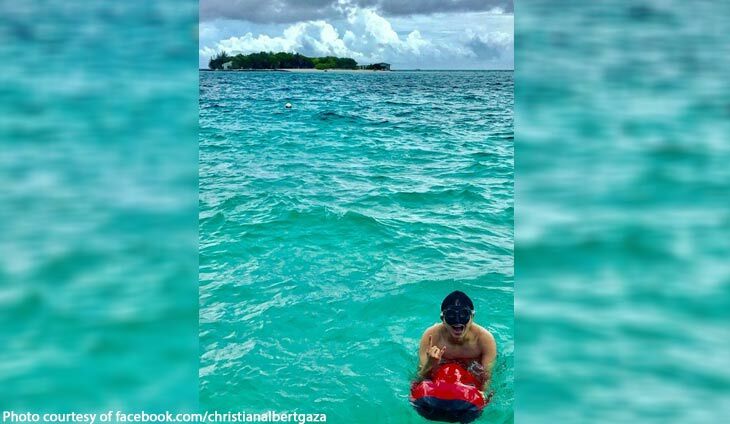 Gaza said his waiver during a sea bob water activity in the island showed that his resort will not be liable for electrocution due to underwater cables in the area. “Wala na akong ibang nakikitang posibleng dahilan na malunod ng sabay ang isang newlywed couple na may healthy na pangangatawan, sa isang mababaw na swimming shoreline sa mismong harap ng resort, maliban sa possible underwater electrocution na matagal ng silent issue sa Maldivian paradise,” Gaza concluded. His post has since gone viral, with some netizens seeming to agree. Is this the explanation behind the couple’s sudden demise?